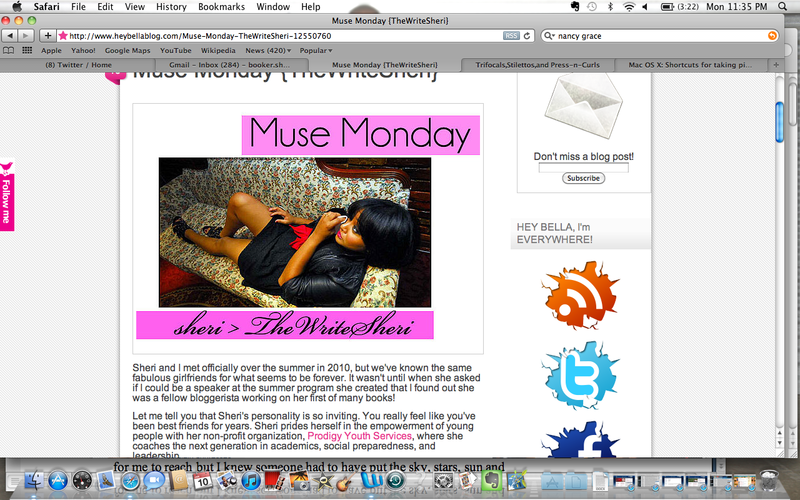 I was so honored when my friend, Ty, over at Hey Bella Blog featured me for her segment “Muse Monday“. She’s a great gal and her blog is uber fab!!! Thanks, Ty!! Previous Post On Music…Swizzy’s Monster Mondays! Next Post On Technology…Or to iphone or not to iphone?? ?